After Cristiano Ronaldo’s exit earlier this summer from Real Madrid to join Juventus, many have eagerly waited to see who would inherit his No.7 jersey. 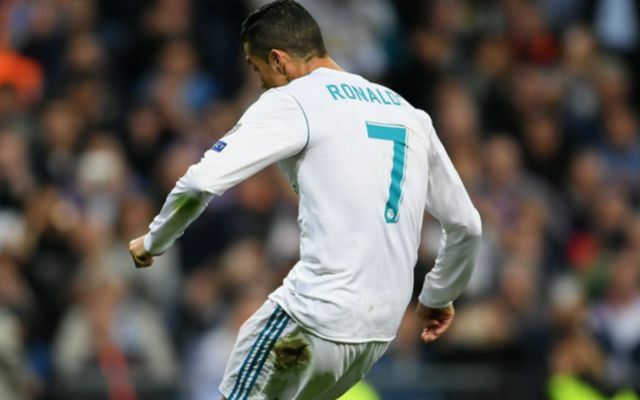 The Portuguese superstar enjoyed a glittering, trophy-laden stint at the Bernabeu over the nine years he spent in the Spanish capital, scoring 450 goals in 438 games while lifting countless trophies and individual accolades. Despite Juve confirming his arrival well over a month ago, as per their website, the reigning European champions have bided their time to fill the void left behind by him to give Julen Lopetegui another option in attack to ensure that he has enough firepower at his disposal to maintain their recent success. However, it’s now reported by Mundo Deportivo that with Mariano Diaz set to be unveiled as Real Madrid’s latest summer signing on Thursday, the 25-year-old will also be handed the No.7 jersey. There is no official word from the club as of yet and so it remains to be seen if the No.7 shirt has a new owner, but with Mariano expected to be presented to the media on Thursday afternoon, according to AS, it could be confirmed then which number he will wear at the Bernabeu. It’s noted by Mundo Deportivo that the No.7, 15, 16 and 23 are the only numbers available barring any late exits, and so there is a significant chance that Mariano takes on a major responsibility as he’ll certainly have big shoes to fill. He’ll be aware of the surroundings given he left Madrid for Lyon last year and scored 21 goals in 45 games. Now though, there may well be a whole different level of pressure waiting for him with Los Blancos.